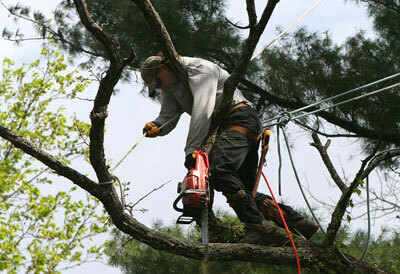 This skilled arborist carefully uses a chainsaw while secured by special ropes and harnesses to trim this tree. Top Leaf truly turns basic tree trimming into a professional skill. Behind several years of business in the Phoenix valley, Top Leaf’s top priorities are customer satisfaction and quality craftsmanship. We pride ourselves on the thousands of trees and other greenery that we have serviced for every single customer. When your trees are properly and professionally trimmed and view of your home is naturally enhanced, the beauty of your home is once again the center of your property.